A recent article on the Huffington Post noted about a third of American workers, or roughly 40.6 million adults, get fewer than six hours of sleep each night. Getting less than the optimal seven to nine hours recommended by the CDC can result in serious health issues, like heart problems and obesity. 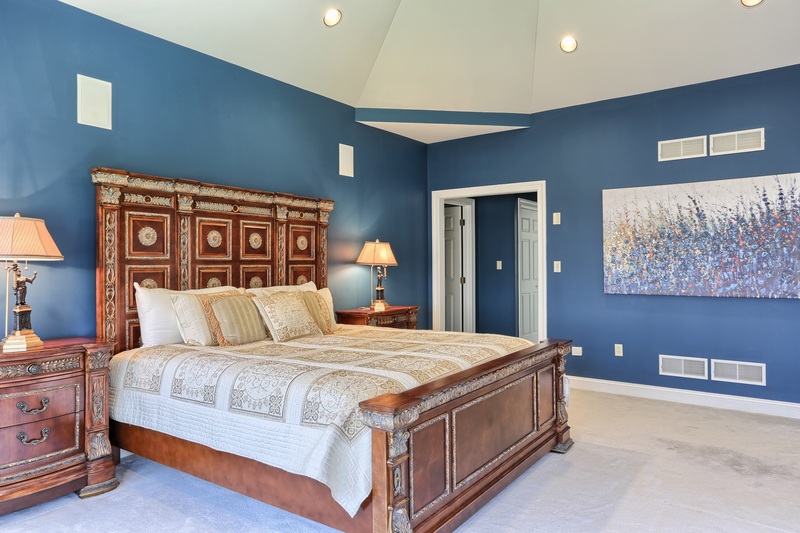 A quiet master bedroom suite awaits at 2390 Forest Hills Drive, Harrisburg Pennsylvania. It is a beautiful tranquil setting both outside the property and inside! Make your way down the circular drive and pause to enjoy the gentle sounds of a zen waterfall and pond, complete with fish swimming around the professionally landscaped pond.. Inside this 10000 square foot retreat there is not only a private master suite with living room and coffee bar, there is also a fabulous 1st floor guest suite! On the upper level there are 4 more separate bedroom suites. On the lower level you can relax by the fireplace or take a restful sauna in the gorgeous 5 x 10 sauna. Can quality sleep help you maintain a healthy weight or even drop a few pounds? "There are more and more studies showing that not getting enough sleep or not getting good quality of sleep can contribute to weight gain," says Raj Kakar, MD, MPH, the medical director at the Dallas Center for Sleep Disorders in Plano, Texas. As obesity has become a worldwide epidemic over the past few decades, more people have also become chronically sleep-deprived. According to National Sleep Foundation surveys, 35 percent of Americans were sleeping for eight hours a night in 1998, compared with just 26 percent in 2005. Researchers believe that the growing obesity and sleep deprivation epidemics may be related. A recent study followed a group of 40- to 60-year-old women for five to seven years and tracked their weight and sleeping patterns. The researchers found that women who reported having trouble falling asleep, waking up frequently at night, or having trouble staying asleep were significantly more likely to have "major weight gain" (gain of 11 pounds or more). Get the rest you deserve, get the home you deserve. Call me today for a private showing of this tranquil retreat home.